BENIN—All Farmers Association of Nigeria, AFAN, has appealed to Governor Godwin Obaseki of Edo State to ensure that fertilizer from the state owned fertilizer plant in Auchi, is sold directly to farmers in the state and not through middlemen. Alhaji Abdullahi Oshiobugie, Edo North coordinator of AFAN, who made the appeal in a chat with newsmen in Benin City, said the appeal became necessary so that farmers would not suffer inflation of prices by the middlemen. While commending governor Obaseki for ensuring that the Auchi fertilizer plant commenced production fully, he stressed the need for the state government to set up a committee to monitor the movement of fertilizers in the state to avoid diversion. 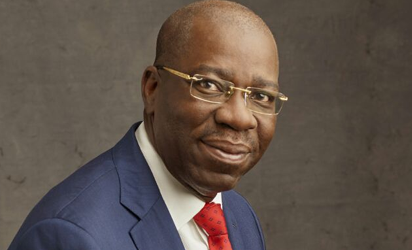 The post Sell fertilizer directly to farmers, Obaseki urged appeared first on Vanguard News.